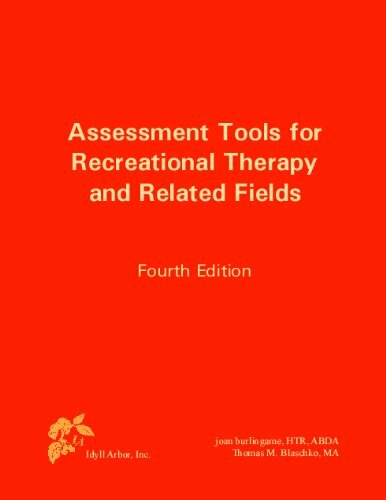 1882883721 -Since its first edition in 1990, this has become the standard reference book on assessment in Recreational Therapy. As with the earlier editions, the purpose of this book is to provide both the therapist and the student with specific, critical information about the assessment process, specific tools, and specific standards related to assessment. The information on national assessments, such as the RAI/MDS for long-term care, is especially important to therapists. The fourth edition has 726 pages with five new assessments and updated information on all national and international standards. This book is used in over fifty colleges and nine different countries!